it has been 2,189 days since last I read you. I saw that you had come out with a movie and chose to watch it since the author, Stephen Chbosky, also adapted and directed it, so the intent could not be more clear. After watching, I felt good. I don’t know the last time I watched a film and felt good about myself. Even good superhero movies come with an inescapable sense of envy. I was almost embarrassed by my pleasure, but Charlie’s story is such an intimate affair, that I cannot help but think that’s the point. He’s writing to a friend, to be open and honest. Everything becomes murky when we want to say what we feel; describing our emotions and how they impact us is hard enough, especially when we have no real control over them. The film made my heart warm and I felt like I’d been given an undeserved blessing, but that’s the point as well. We take the love we think we deserve and we all find ourselves undeserving of something good, but it’s only in Charlie–a perfect reflection of ourselves–that we see a good person who deserves only the best. We’re affectionate in our frustration that he can’t see how much he deserves the world, but that’s what he’s trying to tell us/you. The casting was perfect; the cinematography helps capture the wonder; and the narration is sparse enough to enjoy and not distract. For that, I am very grateful. It’s not easy to review a movie or book that I enjoy immensely and it’s a book/movie that deserves to be read/viewed. Many have told me that it is good for a particular time. I don’t believe that’s true. The sense of belonging and being is universal; that pushes it through the blockade of finite longevity. It is a film that is delicate and beautifully composed, more like a flower than one would ever imagine. Seeing it helps resolve some clarity that otherwise felt opaque in reading. Perhaps it was Charlie’s own internal narration in the novel–and his feelings of meagerness–that caused me to always be suspicious of his friendships. He doesn’t feel he deserves them and suddenly his time spent in high school feels like a ticking time bomb and, one day, they will leave. But the film dispels that, there’s a genuine friendship that carries well beyond high school. This is evident in the movie poster alone. 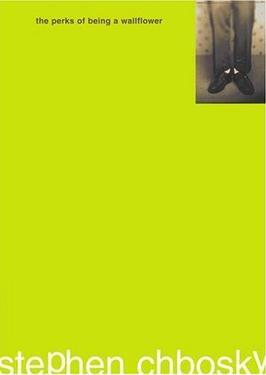 The book featured Charlie’s shoes at the top, noting how the man looks down even though his thoughts are much higher. But the film poster completes this transition, grounding the characters at the bottom and showing their upper halves. He is whole and complete. Logan Lerman plays Charlie. He looks like Michael Cera, but make no mistake, he has the “awkward good guy” look, but is infinitely more talented and better looking. Plus, when he is awkward, it’s not a gimmick, it’s sincere. When he defends Patrick from the barrage of football players and asks “What did I do?” he looks terrified of what he’s capable of, asking in earnest and fearing the result. Ezra Miller plays Patrick (Patty-Cake or Nothing) and he’s addictive. He’s animated–not flamboyant–and regal. These qualities make me want him as a friend, not necessarily Miller, but Patrick. He never shoots for the Oscar, though the material is worthy, but rather he shoots for honesty. That’s integrity that cannot be fabricated. What was most enchanting was how much funnier the film was than I remembered in the book. It must be what Chbonsky had always intended, but the laugh out loud comedy is evenly spread across the film. It fits the tone and never becomes so dark and serious that you’re yearning for a quick resolution. The pacing proceeds smoothly. The message is absolute, suitable for anyone who feels unheard. As with the novel, Charlie confesses that his story may die with time and his picture of life now will fade as society continues. This never acts as a disclaimer however, but a value to grip for aspiring writers. Although Charlie is writing this tale, it’s not until after his friends leave for college that he writes this story. It’s easy to be a shut-in, but Charlie wants to live. The message at the end, however inspiring it may be to write, is to enjoy your younger years of life; take the time to make mistakes; to be vulnerable; to not say what you mean and convey it through covert displays of affection. More than anything, it is to learn. Outside of Charlie’s tutelage of one professor, very little time is spent at the school. Charlie learns from his friends. There’s not much else to say except that it is good. It’s concise, engaging, satisfying and never loses its overwhelming optimism. 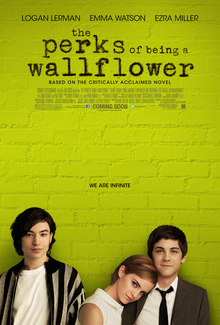 A film that arbitrates our need to worry less and enjoy more, because time may be limited, but we are infinite.